Businesses and Companies are turning to Lancaster Commercial Cleaning Service for all their commercial cleaning, floor maintenance and janitorial needs in Lancaster, PA.
For the Best in Cleaning Quality and Detail, Lancaster Commercial Cleaning Service provides the Ultimate Janitorial Service for both Small and Large Businesses. We believe that Management and Employees in PA Office Buildings have their hands full maintaining their daily work load making our community thrive. Worrying about floors, windows, and trash cans should be the last thing on their minds. Lancaster Commercial Cleaning is here to provide a clean and appropriate work environment for your office staff, putting forth a beautiful first impression to any and all customers and clients. We strive to be the Best Commercial Cleaning Services in Lancaster, PA! Complete and Total Customer Satisfaction is our goal. 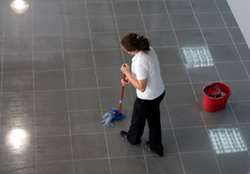 Your Commercial Cleaning Services comes with a Promise that your expectations will be exceeded. We Are The Experts in Commercial Cleaning Services, Floor Care and Maintenance, Window Care, and Power Washing.Our staff is trained, and is involved with continuing education. Honesty and Integrity are what this company was built on. This can be seen not only in our Commercial Cleaning Services, but in our Businesses Practices as well. Custom Cleaning Specifications are established for each customer, ensuring that you receive highly detailed and customized cleaning maintenance for your specific needs. Our Professional Cleaners are background checked, insured, bonded and OSHA trained. Also HIPAA trained if required by the type of facility. A Customer Retention Rate over 80% - and this is in an industry that averages 63%. We have a desire to earn your repeat business by our outstanding work. We proudly use Certified Cleaning Products as well as the most advanced and effective cleaning equipment available. Our Lancaster Commercial Cleaning System is designed for your protection. Our system eliminates the potential for cross-contamination between restrooms and offices, break rooms, waiting rooms, exam rooms, etc. We will never pressure you or your company into signing any long-term contracts. Our number one goal is Complete and Total Customer Satisfaction, and we believe that can be accomplished without obligations. We offer Commercial Cleaning Services in Lancaster on a month-to-month agreement, unless otherwise adapted by the customer. Each time we clean, we strive to re-earn that business by the work we do. Who are you hiring for your Commercial Cleaning Services in Lancaster, PA? When you hire our Commercial Cleaning Services in Lancaster, you're hiring a Local, Family owned and operated Business. We love our Lancaster Community, and have spent our whole lives here! We opened Lancaster Commercial Cleaning Service 3 years ago to help our Community with everything from Carpet Cleaning to Floor Buffing to Office Cleaning Services. We only hire the best trained professional Cleaning Staff, giving you the highest standard possible in our Cleaning Services. Jason and Ruby strive to provide the best ongoing Training and quality Equipment for their Staff so you know that your Office, Floors and Building will be maintained at the highest level. Don't settle for poor service, poor cleaning services, and unfriendly cleaning staff! We have built our reputation on providing the best quality Cleaning Services in Lancaster, and will work hard to earn and keep your Business. Call us today for a FREE Quote for all of your Cleaning services! Yes, Window Cleaning is in our Job Description! We offer Window Cleaning in Lancaster, PA and the surrounding communities. Wouldn't it be great if you could snap your fingers and your Windows were clean? Well, you can with Lancaster Commercial Cleaning Service! We offer 1 time Window Cleaning and Washing or you can schedule to have one of our Professional Window Cleaners at your Business as often as you would like. We can clean Windows on any size building, making sure that they are streak free and look great! Do you have a film on your Lancaster Office Windows from years of salt and other deposits? Or do you still have the painting on your window from a Special that you need scraped off? We can scrape your Windows clean of any paint, and will make sure we clean all sediment and film off your Windows so that they are squeaky clean. Call today for a Professional Window Cleaning crew to come to your Office for a Free Estimate. Our Window Cleaning in Lancaster is professional and affordable. Call today to speak with one of our friendly Window Cleaners! Do your Office Floors need stripped and waxed? Is your Dealership floor looking scuffed and beat up? We offer the best Floor Stripping Service in Lancaster County! Our Professional Floor Care team will make your Floor look like new when they are finished! We offer Floor Stripping Services for small and large jobs. We can handle small waiting rooms up to large Showroom Floors or Warehouse Floors. We have invested in the Floor Care Machines to handle all sized Floor Stripping and Waxing jobs to be able to help anyone. Has your Office Floor dulled or become cloudy? Do you know that inferior Floor Wax and Stripper can cause all types of issues for your Floor? We only use the highest quality Floor Stripper and Waxes so that you get the same amazing, shiny Floor every time we come and Strip, Wax and Buff your Floors in Lancaster. Whether you need 1 time Floor Stripping Service or weekly Floor Care services to keep your Floor looking amazing, we have a Floor Care Program for you. Call us today for a Free Estimate on Floor Stripping Services in Lancaster County! Office Carpet takes a beating and if you aren't maintaining it by getting a Professional Carpet Cleaner in Lancaster to clean and take care of stains, your Office Carpet won't last as long as it could. We offer the best in Carpet Cleaning in Lancaster County! Our Steam Carpet Cleaning Process will clean your Carpets better than any other Process out there! We use a Pre-treatment solution, work out any Stains, make sure that your Carpet smells wonderful and looks wonderful after every visit to your Office. Our Carpet Cleaning Service is available small or large Offices. We also offer Stair Cleaning, Upholstery Cleaning, Rug Cleaning and more. Our Truck Mounted Steam Carpet Cleaning unit allows us to offer Affordable Carpet Cleaning in all of Lancaster County. We also offer Tile and Grout Cleaning! For a Professional Carpet Cleaning in Lancaster, PA, give us a call. Our Staff is here to serve you and will make your Carpet look amazing! Call today for one of our Staff to come to your Office for a Free Estimate! For the Best Office Cleaning and Building Cleaning Services in Lancaster! Why use Lancaster Commercial Cleaning Service? We are a local, Family owned and operated Professional Cleaning Service. We've been providing Professional Commercial Cleaning Services all across Lancaster County for years, and we employee only the best Cleaners in PA! Our Commercial Cleaning Staff is highly trained to be efficient which allows us to provide the Best Cleaning for Offices and Buildings across Lancaster. We provide the best Training for all of our Cleaning Staff, and have invested in the best equipment for Floor Stripping Services, Floor Waxing Services, Carpet Cleaning, Window Cleaning, Power Washing, Office Cleaning and more. We aim to please so if you aren't satisfied with our work, we will make it right. When you want a Commercial Cleaning Company to provide Office Cleaning, there is a lot of trust involved. Trust in the quality of work and people that are providing the cleaning. We strive to provide the best Office Cleaning Services in all of Lancaster County. All of our Cleaning Staff have gone thru Background checks and we work hard to make sure that we only provide the best quality of Cleaning Service. There are many different ways to clean an Office, whether it's a Weekly Office Cleaning Service, bi-weekly Office Cleaning, Monthly Office cleaning or 1 time Office Cleaning, but we treat each opportunity to Clean as an opportunity to show our Skill and Ability. We will make sure your Windows sparkle, Desks are clean, Bathrooms are immaculate, Carpet is clean, Tile is clean, Light Fixtures are clean, Railings are clean, Baseboards are clean, Vents are clean, Shelves are clean, and everything else in the Office is clean. When you have a Professional Lancaster Cleaning Service you will find that your Office stays cleaner and looks better because of the regular Cleanings. Not sure what you need? We offer Free Estimates for all types of Cleaning. If you are looking for Office Cleaning in Lancaster then we can come and provide you with a detailed Estimate of what we will provide to make your Office look amazing. If you want your Office Floor Stripping and Waxing done regularly, we will come and provide an Estimate to keep your Floors Stripped and Waxed so they look amazing. We will also provide you with an Estimate for regular Floor Buffing to keep your Floors looking great in between our Floor Stripping and Waxing Services. Whether you just need a deep Office Cleaning, Spring Cleaning, Monthly Office Cleaning, Building Cleaning Services, Floor Care, Window Washing, Power Washing, Carpet Cleaning, Tile and Grout Cleaning or some other Cleaning Service, we have the Professional Cleaning Staff and Equipment to get it done. Janitorial Services in Lancaster can be expensive if you have to hire an employee, pay for benefits, taxes and the other costs associated with employees. Our Lancaster Janitorial Services will save you money as we provide the Labor, Supplies and Professional Knowledge to make sure that your Office or Building is cleaned properly. Your Bathrooms will never look better after our Janitorial Service in Lancaster cleans them. Your Floors will never look better, and your Windows will be streak free and spotless! 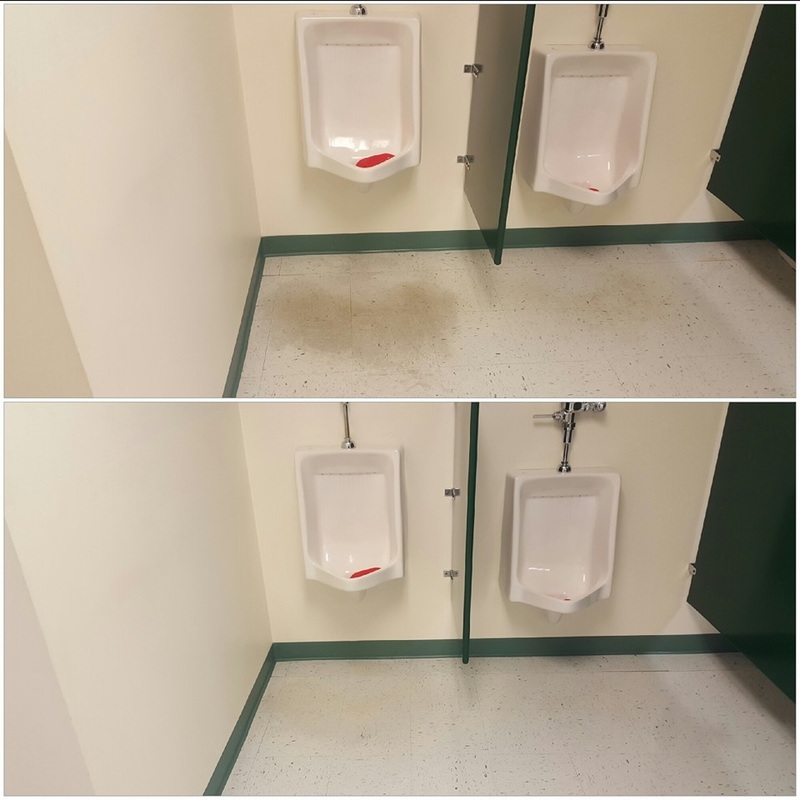 We strive to provide the best Janitorial Service in all of Lancaster County, offering 1 time, weekly, bi-weekly and monthly Commercial Cleaning Services. Our Janitorial and Commercial Cleaning Services are affordable and quality. Call us today to get a Free Estimate for your Office or Building Cleaning! Our professional Floor Care Services in Lancaster are second to none! We work hard to provide the Best Floor Waxing, Buffing and Polishing in Lancaster County. 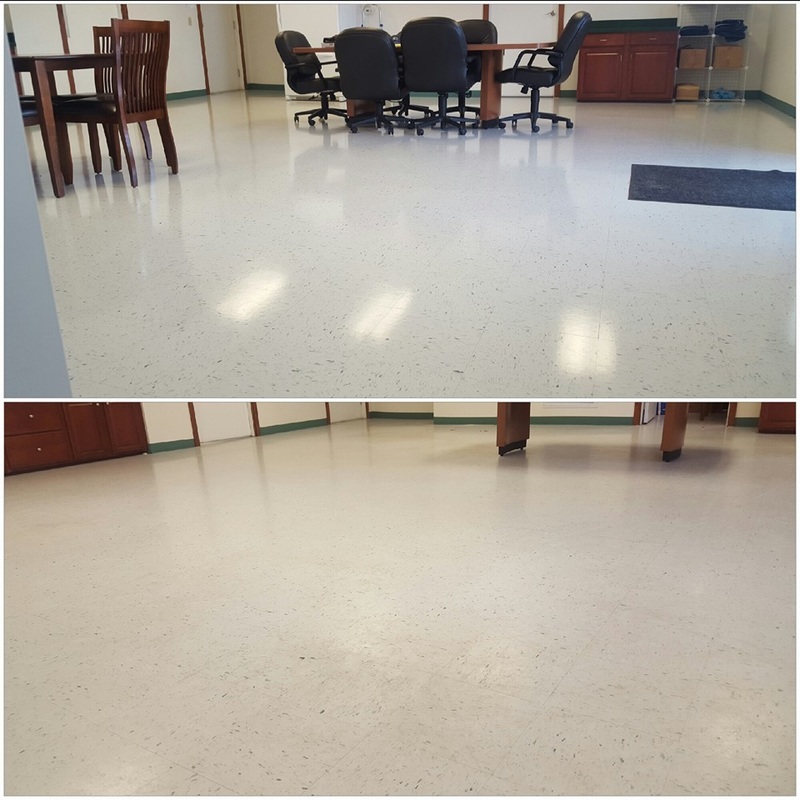 Our Commercial Cleaners are highly trained, have the best Floor Care Equipment and Supplies, and we can handle any sized Floor Cleaning job in Lancaster County. Call us today for a Free Estimate on your Floor Waxing and Buffing services in Lancaster. Medical Buildings and Healthcare Offices demand stringent cleaning standards, and we are the Lancaster experts in Healthcare cleaning and Medical Facility Cleaning. Our Commercial Cleaning Staff understands that they can't take risks with cleaning Medical Facilities and Healthcare offices. We are armed with the knowledge and professional Cleaning Equipment to make sure that your Medical Facility is cleaned properly without cross contamination or other issues. We can provide our Healthcare Clients the highest in Industry Standard Cleaning so they know they are getting the best Commercial Cleaning Service in Lancaster, PA. Whether you need daily, weekly, bi-weekly, or monthly Medical Facility Cleaning or Healthcare Office Cleaning, we have the Cleaning Program for you. We strive to set the Standard for Medical Office Cleaning in Lancaster County, so if you want a Free Estimate please give us a call! We also offer Janitorial Services, Maid Services, Residential Carpet Cleaning and Residential Cleaning Services in Lancaster, PA.